Lyrics by Time Rice. Music by Andrew Lloyd Webber. 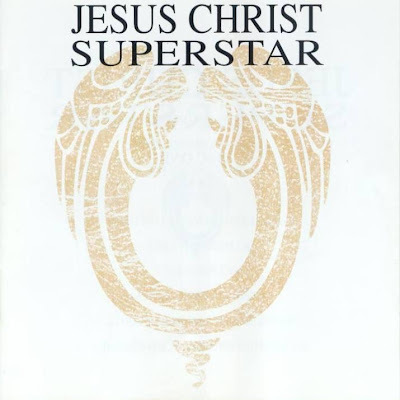 Orchestration and musical direction by Andrew Lloyd Webber. Pat Arnold, Tony Ashton, Peter Barnfeather, Madeline Bell, Brian Bennett, Lesley Duncan, Kay Garner, Barbara Kay, Neil Lancaster, Alan O`Duffy, Tim Rice, Seafield St. George, Terry Saunders, Sue and Sunny, Andrew Lloyd Webber. Choir under the leadership of Geoffrey Mitchell, Children`s Choir under direction of Alan Doggertt (On the Overture). The Trinidad Singers under the leadership of Horade James ( on Supersatr). Henry McCulloch - gtrs el. & ac. Horns - John Burdon, James Brown, OBE Douglas Moore, Andrew McGavin, Jim Buck Sur., Jim Buck Jhr. Orchestra (principal conductor Alan Doggert) featuring the strings of the City of London Ensrmble (principal Malcolm Henderson). Moog Snthr by kind permission of and under the direction of Mike Vickers.